Not that we get much surfing here in the Northeast, but we have seen plenty of footage all the way back to the competitions on ABC’s Wild World of Sports. Yup I’m that old. The surfers sit and look at the horizon and anticipate the size of the waves. It’s not an exact science, but they make their choice and then, the most important part, the proactively paddle like crazy toward the oncoming wave crest well ahead of its arival. This allows them to meet the wave on their own terms, rather than seeing what they get when it gets to them, as they sit and do nothing. Because of this action, they turn in time to ride the wave, and show off at their ability to plan and execute. Taxes, of course, can often be watched on the horizon and anticipated, especially if it’s a big wave. You know you are retiring in November and you have built up huge pep time, vacation etc. You’re going to have almost a year’s salary and then 6 more months paid at the end. Big wave coming. You’re an executive with stock options coming due this year and the company stock is up nicely. Big wave coming. Your father has been in hospice for five months and end of days is near. You’re an only child and dad has a lot of net worth. Big wave coming (and sympathies about your dad). You’re a landlord and you are listing a property you’ve had for quite some time for sale. Big wave coming. You get the idea. Why is it that Americans are so bad at tax planning? I believe that most people see the wave, but haven’t been told to paddle hard, have fear of the IRS, have lazy or reactive (not proactive) accountants, are misinformed…lots of reasons. Do you agree? Great. So here is what you do when a wave is coming. PADDLE! What does that mean? Go sit down with a tax planner. Delaying retirement from November to January means that the big bonus from the pep time payout falls in a new tax year. You can still leave work on your vacation pay. You might have to go back to work for one day in January, but you’ll save the entire price of a mobile home in Florida in taxation for spreading the income over out two years! Stock options can be offset with tax credits you get by doing things the IRS will reward you for. Convert your home to solar and give the extra tax you were about to pay the IRS to yourself with a lifetime of energy savings in retirement. If Dad is about to leave you a big IRA, take what you can up to the 22% bracket and “refuse the rest” so the balance goes to his contingent beneficiaries, his four grandchildren…your four kids, who are in college or about to be, and whom you were supporting anyway. They are in a much lower tax bracket, and you keep what you were about to give them in your pocket and pay no tax. About to sell your rental property? Hire a licensed intermediary and do an IRS Code 1031 exchange. You’ll make your profit and pay zero tax at the sale instead of 25% recapture and as high as 20% capital gains tax. Our point is that all of these things take time to be educated on, evaluate, get paperwork done, do forward forecasting tax returns to see the outcomes, perhaps tweak the plan or add a second tax planning action. But whatever the tax burden coming, something can almost always be done. All you have to do is look for the wave and PADDLE. Most accountants are not proactive, they are instead historians. They report the past. 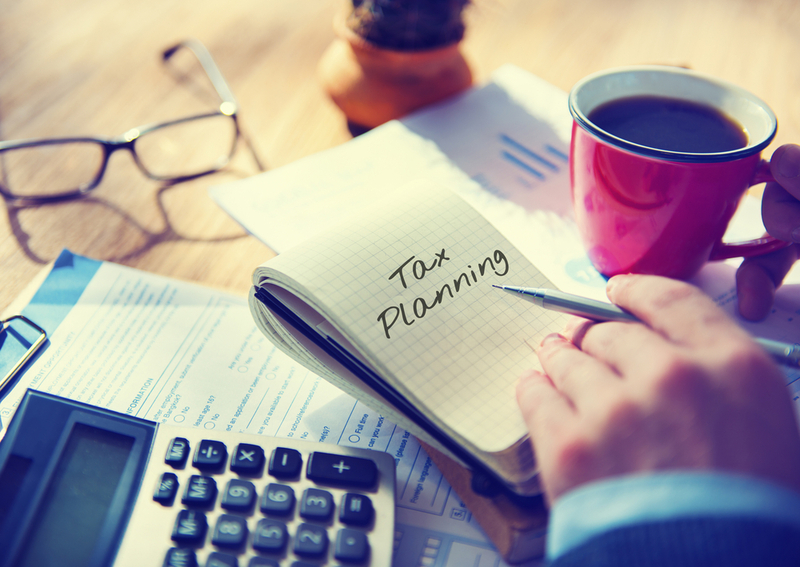 Go find yourself a tax planner…very different than a tax preparer. Put their number in your phone. When you first see the wave forming, dial their number. Don’t wait until the wave is cresting over your head.